Finding the most luxurious lakeside hotels in Europe can be a difficult task. There are so many hotels that finding the right one can take hours, even for the most seasoned travel agent. Here is a list of some of the top European luxury lakeside hotels where you can rest, relax and enjoy the water. You can find them in Italy, France and in many other European countries. This beautiful hotel was formerly a hermitage before it was redone as a stunning and beautiful hotel, and it can be found at Tuscany, Italy. Nesting near a lush environment of beautiful trees and flowers, this is a place any nature-appreciating person will love to see. There are also many beautiful animals, like the peregrine falcons and kestrels. There is also a spa for relaxing, and there are many activities that anyone can enjoy. The dinner here is entirely formal full of hushed conversations and appetizing foods that really bring the taste of Italy to this hotel. 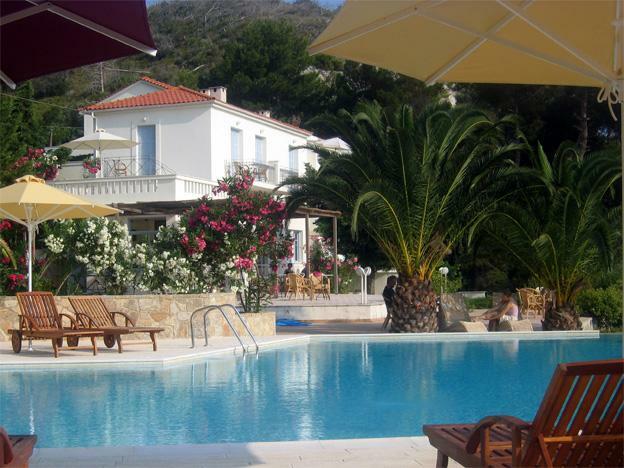 This hotel is perhaps one of the best in the Samos area. Though known for their beautiful beaches, this is the only hotel that overlooks the water. Best known to windsurfers and sun-worshippers, this hotel has all the privilege you seek from a luxury hotel. Their rooms are crafted from fine marble, and each room has a balcony that looks out onto the water. Known as a hotel for pure relaxation that is located in Aquitaine, France, this spot urges all customers to just unwind and let all the stresses of life roll off them. Just sink into the luxurious sofas, pull up a beer and let the 1920s aesthetic take you in. Lined with vibrant paintings, this is a hotel unlike any other. One of the best parts is the food. France is known for their cuisine, and you won’t miss out with the large four- to five-course dinners served here every night. The menu changes everyday, so you will get a new taste of France each night you stay here. The food alone is worth it, but the lakeview you get from your room is equally stunning. This hotel is best for the explorer type, and it is located in the heart of Andalucia, Spain. The entire area is full of mimosa, honeysuckle, cypress and oleander, and the nearby Tarifa is a beautiful place to set out for a good hike or journey. You can swim in the lake or their pool, which is fed with stream water, or you can enjoy a relaxing massage while watching birds as they migrate to Africa. The bedrooms themselves are lined with designs that blend the modern and traditional, which is a sight to behold. Known as being one of the most stylish resorts in all of Algarve, Portugal, this lakeside luxury hotel offers some of the best surfing beaches in the world. This hotel is meant for people who love relaxing and learning yoga, tai chi or other wonderfully relaxing exercises. Everything about this hotel speaks a sense of ease, and you will feel all of your worries careen off your shoulders. Self-proclaimed an one of the most relaxing hotels in the world, this luxury hotel found in Rabac, Croatia is near the Istria’s ancient coast. Many people come here everywhere to relax and enjoy the water, but there are many that also come for the slow cooking. This hotel is one of the main influences in the slow cooking and preparation movement years ago, and they welcome guests to learn about this cooking movement. Aside from that, there is a lush environment full of 100 olive trees and many other plants and trees. The modern stone floors and the amazing paintings are all calming, making this a great place for relaxing, or just enjoying the scenery. Here are some of the best European lakeside luxury hotels. All of them offer wonderful lakeside views, amazing cooking and beautiful interior designs that will give you the best vacation ever. Just try one of these hotels out, and you will never want to leave. If you love the water and scenic beauty, then few hotels espouse those virtues better than these hotels. Ken Thomas the author of the “Europe’s Most Luxurious Lakeside Hotels” is diamond jeweller and avid blogger who writes for numerous blogs including New Updates Weekly.